Explore how raising animals and related crops affect ecosystems and our health through climate change, the depletion of natural resources, pollution, deforestation and world hunger. Plant based cooking demo following the FREE presentation. Come learn about the plant powered movement that’s sweeping the nation. 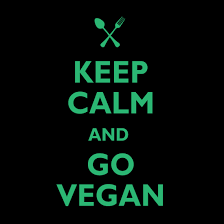 Learn why so many people are going vegan and loving it!!! You’ll see how you can easily incorporate more plant powered super foods in your life! During the workshop you will learn time saving recipes that taste good and are good for you. You will get easy to implement advice on living a healthier lifestyle, preventing disease, and losing weight for good! This workshop is for anyone thats looking to improve their health, look younger, live longer and live harmoniously with the surrounding world. Investment: $25.00 which includes the food, valuable recipes and handouts. To sign up for the cooking demo & presentation make your payment below. Are you tired of feeling SICK and Tired? Come join me for an informational talk about plant-based nutrition. During this talk you will learn the tremendous benefits of a plant-based diet and how it can quickly transform your life. I will show you how easy it is to incorporate more whole foods into your life and provide you with powerful information that will empower you to make informed decisions about what you put at the end of your fork. This will be a talk that you won't want to miss! Come and try some delicious plant-based food options and get all of your questions answered about a plant-based lifestyle. I will be giving out delicious recipes, nutritional tips, as well as advice on how to get started on your plant powered journey! This workshop is for anyone thats looking to improve their health, look younger and live longer!!! Investment: $25 which includes a cooking demonstration, food samples. recipes, and valuable information to get you started on your plant powered journey! Investment: $30- includes cooking demonstration, food samples, recipes and valuable information that will help you get started on your plant powered journey! This valentines day instead of buying a box of chocolates or a dozen roses give that special someone a gift that will last a lifetime. Give them a gift of true health and wellness. Show them how much you care this year by investing in their life. You can choose from the 3 options below. Each one is guaranteed to leave that special someone in your life knowing how much you truly love and care for them. Take the night off and allow me to create a delicious 3 course meal for that special someone in your life. This package includes a full 3 course meal with complimentary bottle of wine. You will select your appetizer, dinner, and dessert from a variety of mouth watering choices. In the privacy and comfort of your own home, I will be your personal chef and waiter for the evening. This package includes 3 one on one yoga lessons in the privacy of your own home. During these sessions you will learn the proper fundamentals to develop a strong yoga practice, develop a deeper knowledge of the practice itself and learn how to cultivate a stronger personal awareness throughout your practice. You will learn how to transfer the knowledge and skills that are gained on your mat into your everyday life, which will enable you to live a happier, healthier and more authentic life. Plant Based nutrition workshop and cooking demo. Participants will learn valuable, time saving recipes and information to help them live a healthier and more productive lifestyle that is in harmony with the surrounding world.